. :Computer Networking LAN & WAN: Enterprise Network:. Our network engineers are skilled in designing and installing a wide range of networks on different operating systems. We work closely with our customers to provide an IT solution that is designed to meet your current needs and is capable of being upgraded or expanded as your needs change in the future. If you already have an IT network we can assess how securely and efficiently your current system is performing. We can then identify ways your system could be improved and implement those improvements for you. We can also advise you about the reliability of your current method of backing up your valuable data and suggest and implement improvements to make sure that if your network system fails you don't lose important data. Having the right IT network in place is the first step to improving efficiency and unlocking business potential. In our experience, however, many companies fail to maximise this potential because they do not have the time to monitor and update their IT systems on an ongoing basis. 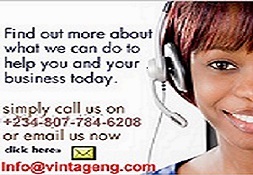 This is where Vintage Technologies Systems Support can help. Our team of experienced network engineers can help support your business with a regularly maintained and optimised IT network. An underperforming network can not only affect your staff's morale but also business critical functions which impact your profitability. Our team are able to provide the solution to meet your needs, from fully managed contractual maintenance for your IT systems to ad-hoc support in times of crisis. To ensure your new or existing IT network works properly, we can provide systems support to your business. Our services include monitoring your servers to make sure your network is working efficiently, your backup is functioning properly and that you have the latest spyware and virus protection to secure your network against threats that could comprimise your network security. As with all our services, we can design and deliver a support package tailor-made for your business. We also regularly re-assess your systems to meet your business' changing needs. In our experience, a badly designed wireless network is about as useful as no wireless network. We have witnessed and solved the problems that arise when no thought has gone into a wireless system, and we have seen the consequences of networks that have not been implemented with any forethought to security. 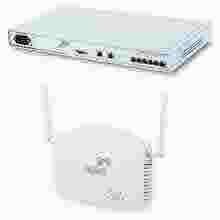 Wireless networks have, in recent years, become an extremely popular way for businesses to connect their computers and hardware together cheaply and in most cases, securely. Many businesses also see wireless as a 'must have' service for their customers and clients, and the provision of these services, often free of charge, is now becoming a normal feature in bars and restaurants, as well as the traditional office workplace. A simple wireless network can be installed in a short amount of time and will often negate the need for much, if not all, of the traditional wired cabling requirements in a building.